We start this week’s newsletter with a silver lining of sorts. 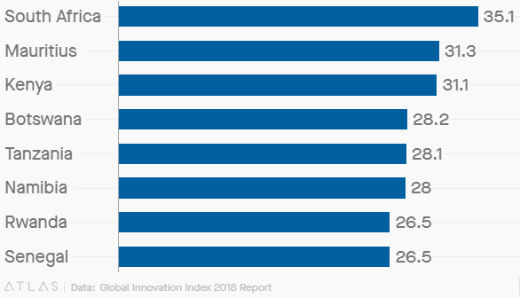 As reported in Quartz, despite Sub-Saharan Africa having "the lowest average rate of innovation in the world" (according to the Global Innovation Index rankings in the graphic below), six African nations were identified as “innovation achievers”, defined as places that outperform on innovation relative to their level of development, with Kenya joint top level with India on eight years as an innovation achiever. Slightly patronising language aside, the list of innovation achievers is rather interesting. Rwanda and Malawi, together with Ukraine, have each logged six years as innovation achievers with Madagascar on three and South Africa and Tunisia on one each. South Africa, meanwhile, was ranked as the best place for innovation on the continent; Mauritius and Kenya not too far behind. Rightly mentioned when discussing African innovation was Uganda's Brian Gitta who, at just 24, won the $33,000 Africa Prize for Engineering Innovation for a bloodless malaria test called Matibabu, with a notable mention also given to Promise Nnalue, Jessica Osita, Nwabuka Ossai, Adaeze Onuigbo and Vivian Okoye — five Nigerian teenagers who claimed first place in the junior division of the Technovation World Pitch Summit with FD Detector, a mobile app that aims to solve the problem of counterfeit pharmaceutical products. Despite our unique circumstances, African innovators are some of the best at what they do and we’re well on the road to becoming a global innovation hub so here’s to more apps and stories that will change the world. A special shoutout to the team at Safaricom Alpha (disclosure: client) who launched Bonga — a messaging app with deep links to payments using M-Pesa — into wider beta testing, you can join the waitlist here. Instagram Stories represents our biggest step yet through the looking glass into a world where our real-life behaviour is constantly tailored to make ourselves look better on the internet, a world where the lines between on and offline are forever blurred. Olivia Ovenden takes a thoughtful look back at two years of Instagram's "Stories" feature, and how while this blatantly copied addition increased the amount of time users spend on the app (to Snapchat's chagrin — more on them below), it's also turned us into performers always seeking to put on a show for our audience. Of course, there's the argument that Stories reduced the pressure to present a perfectly curated image of your life, its ephemeral nature allowing you the freedom to show a more authentic version of yourself as compared to what goes in your polished (and sometimes painstakingly designed) Instagram feed. However, that Esquire piece disagrees. According to the author, if anything, Stories have aggravated the performative nature of what we post where "the only aim is to be watched, even if you're not really being seen. Remember a camera company and spectacle manufacturer called Snapchat? Their numbers are tanking, and I’m not just talking about their stock price which at the time of writing was trading at half of what it was worth at the opening of its IPO. For the first time, the number of Daily Active Users (one of those dreaded social network evaluation metrics upon which valuations fluctuate every earnings cycle) shrunk, and this piece on Stratechery starts by taking a look at what exactly is going wrong at what was once the hottest, most intriguing and enigmatic platform on the planet. 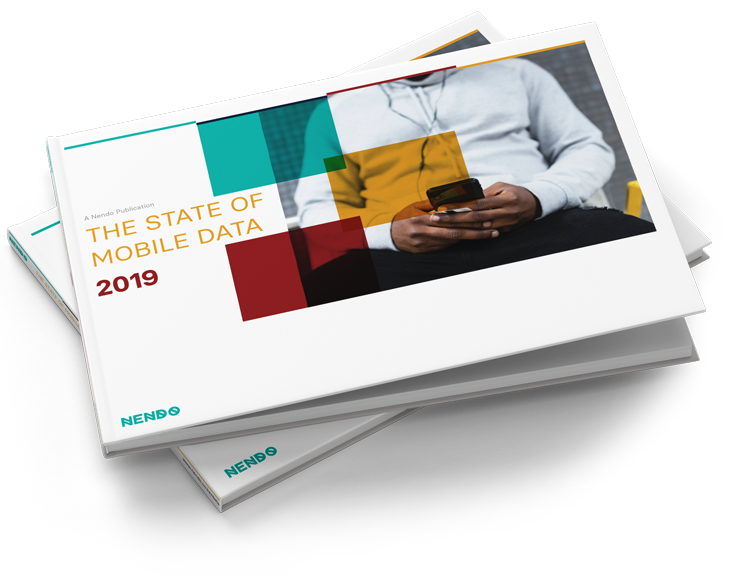 The immediate effect of Instagram Stories was killing the competition’s growth by giving users something they wouldn’t need to leave the Facebook ecosystem to use. Not only did people spend more time on Instagram because of Stories, the feature actually accelerated user growth. “In short,” Ben Thompson writes, “Instagram Stories not only prevented users from defecting to Snapchat, it also took all of Snapchat’s growth, and now, after Snapchat’s re-design snafu, is likely taking users away.” The problem, however, is that “while more people may use Instagram because of Stories, some significant number of people view Stories instead of the Instagram News Feed, or both in place of the Facebook News Feed” which is a whole new headache for advertisers — albeit a relatively good one to have. Of course, Stories could be (and already have been) monetized with ad units but, as Thompson notes, Stories are much easier to skip with a simple tap of the screen — an “absence of friction” that brands have to combat by creating effective Story ads which, because “the most engaging ads will be video”, would “increase production difficulty significantly.” The Story conundrum is fascinating. On the face of things, advertising via Stories seems like a straightforward move; after all, people are using the app more because of Stories. But given how we effortlessly blaze through our own friends’ Stories — people we actually care about, how likely is it that a user won’t just tap past your own ad? As always, we can’t wait to see what the data tells us. Twitter is going through one of the toughest predicaments it has been in for a long time. The CEO has been under pressure to enforce Twitter’s Rules on users, specifically US right-wing conspiracy theorist Alex Jones. After Facebook, Vimeo, YouTube and other platforms banned Jones, Twitter’s taken its time. Trying not to cave in to the pressure, they attracted the ire of users. In 2007, Chris Messina, a Twitter user, invented the hashtag. Once again in a case of user-generated features, #DeactiDay was created to get people to make the ultimate sacrifice and shut down their Twitter accounts. Another digital form of protest has been created: Shannon Coulter’s ‘block list’ of Twitter’s top clients (mainly from the Fortune 500) aims to deny Twitter ad revenue from their most valuable clients because of their stance on Jones who, for now, has been banned for seven days. That said, there are some interesting discussions about the future, and what Twitter will look like. In Kenya, after blogger and provocateur Cyprian Nyakundi was suspended for breaking the rules, he went to neo-nazi affiliated www.gab.ai, bringing with him +10,000 Kenyans who signed up for the microblogging service. There he joins the Consumers Federation of Kenya, also banned from Twitter, who also have a profile. One thing about social media, particularly Twitter, that I tend to love is meme culture. This longread on Medium delves into memes and their place in society. The team and I couldn’t have made our 2014 Twitter-led project The A to Z of Kenyan Twitter without the help of Twitterati like @Ramzzy_ and @droid254. I’m also a fan of @KarisMemes who has turned memes into a business; one member of my team met him doing a meet-and-greet at a function so word goes around and he’s got a following all of his own. If you’ve ever wanted to see the history of mankind, from the Big Bang to present date, from first songs and the classical era to modern day punk rock, Histography is a site to get lost in. It reminds me of the data studio Polygraph and their work on this evolution of music taste from 1958 to 2016. Headphones are recommended for both experiences. If you’re looking for insights on Nigerian millennial ladies then this report, Understanding the Behaviour of the Female Nigerian Consumer, from FabWoman is rich with insights and context. Lastly, thank you, Aretha. For this, and this and all you were to us all. Thanks again for the support, responses to the newsletter via email, and for reading this.